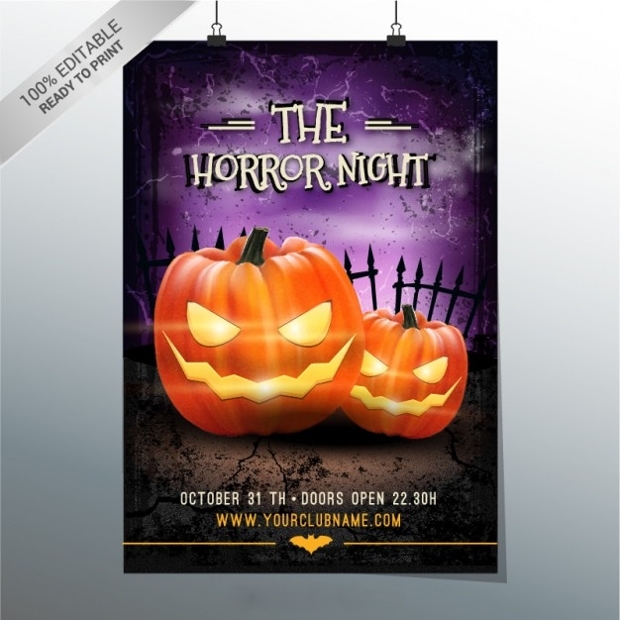 Halloween comes with its unique vibe and, this call for a special way of celebrating it. 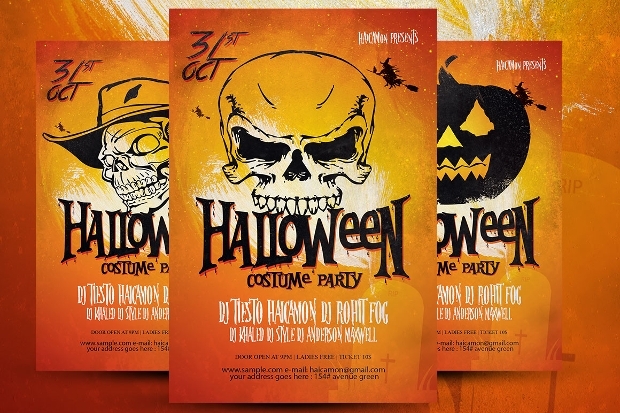 Creating awareness of your Halloween party to the target audience can be effectively achieved with the help of a good flyer design. 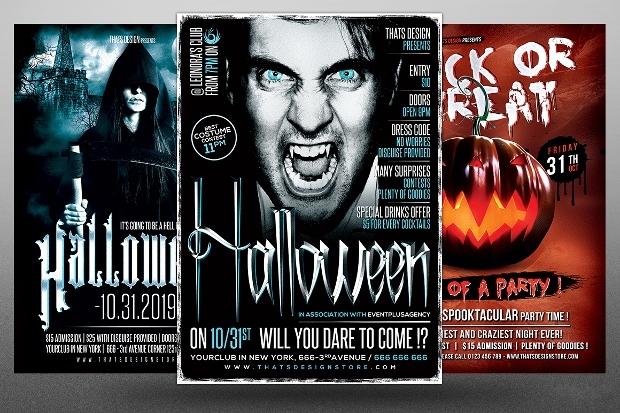 Today we are privileged to share with you this collection of awesome Free PSD Flyer Designs that can make the task of designing your Halloween party flyers very easy and fast. Enjoy! It goes without saying that Halloween celebrations cannot be considered complete without scary images like the one featured in this flyer. 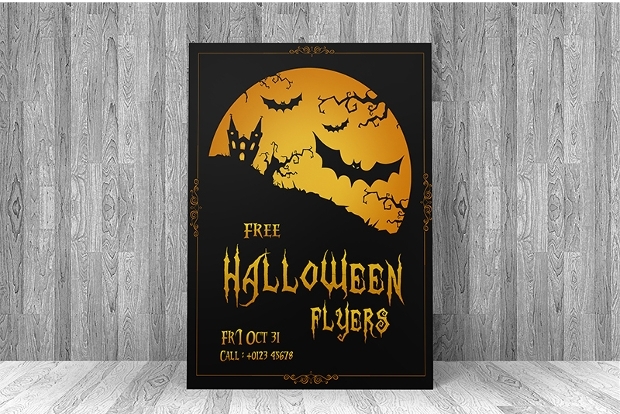 With inspiration from this template, you can edit the flyer design and create your really unique flyer that befits your Halloween event. It is available in PSD file. 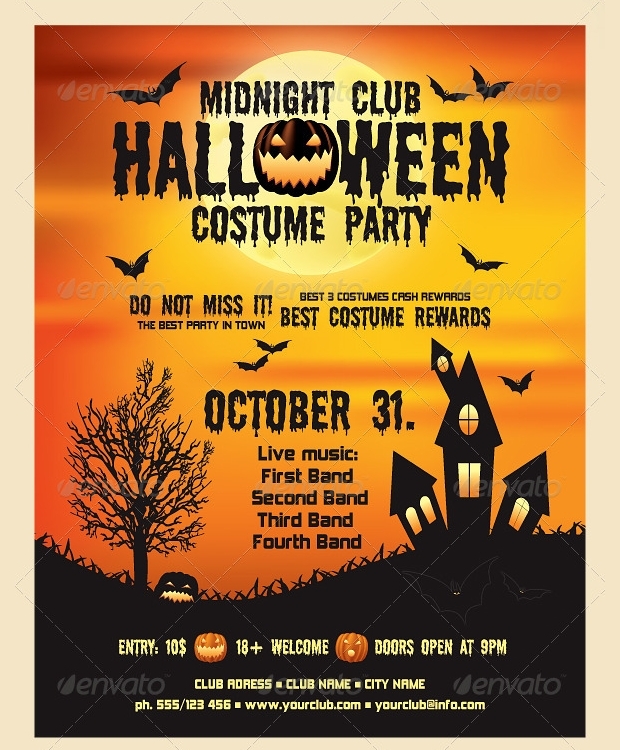 This elegant Halloween party flyer can actually help you reach and invite the target audience in a very gripping manner. You can easily replace the design elements with your own thanks to the neatly organized PSD layers. 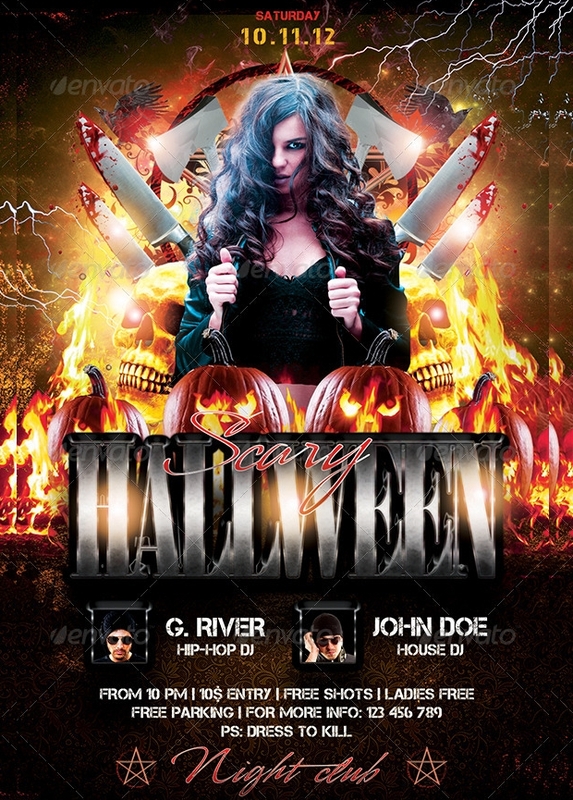 The layered PSD format of this party flyer is fully customizable. 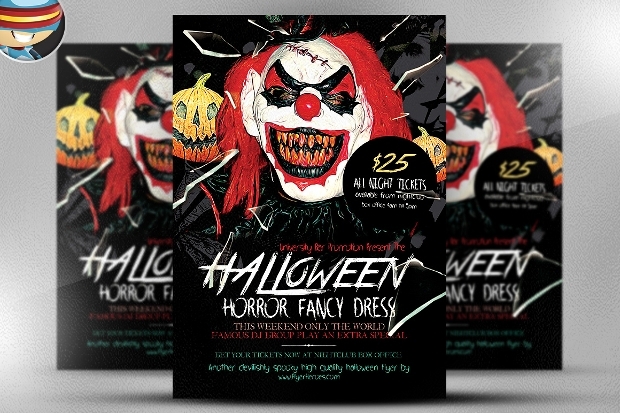 Want to give your Halloween party invitation a dark, dreadful impression? 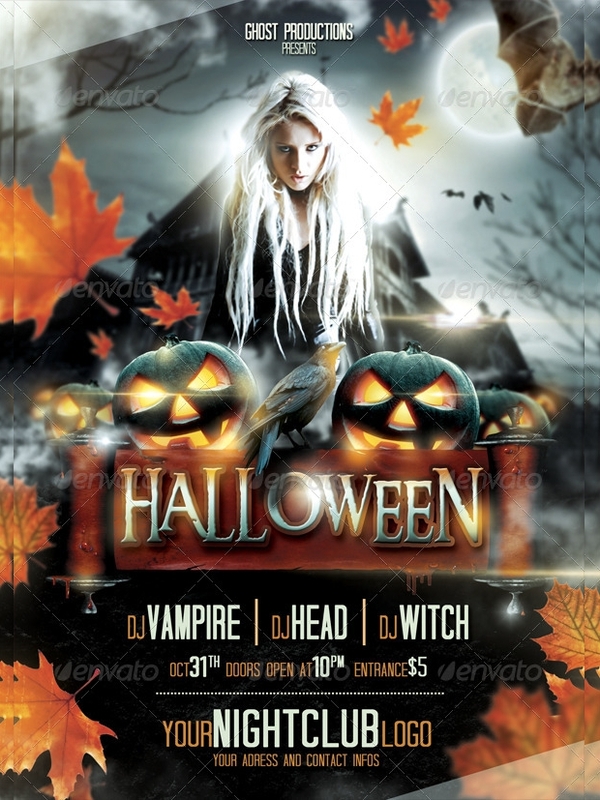 Then, this could be the right design to fashion your Halloween flyer after. You can easily replace or remove elements of your choice on the flyer design. The design is available in downloadable PSD format. 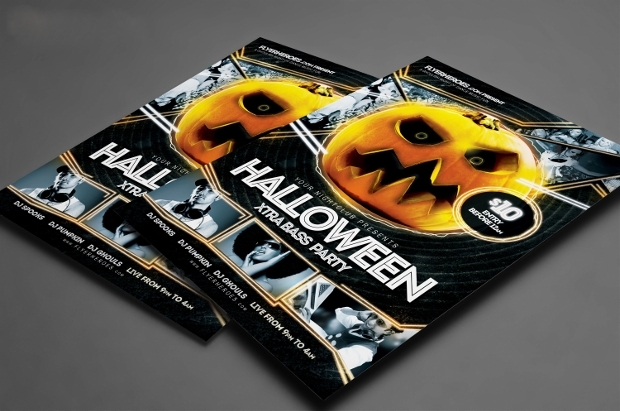 This flyer design can help you to effortlessly create the element of horror associated with the Halloween celebrations. 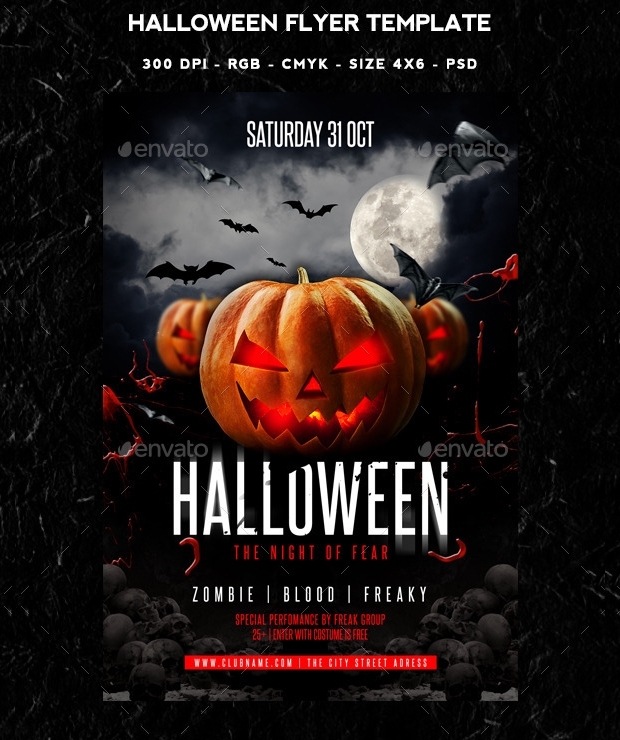 Whether it is a Halloween-inspired nightclub or family event, you will find this flyer design quite handy. 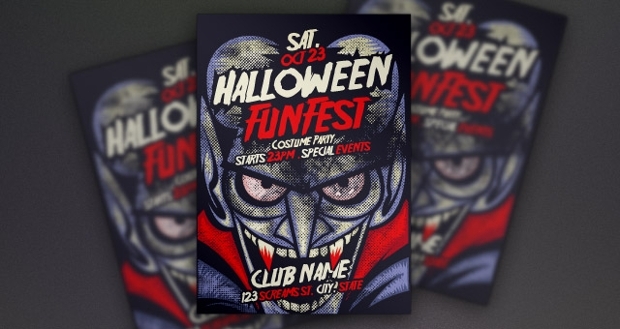 You can get this scary flyer template in JPG and PSD file formats. 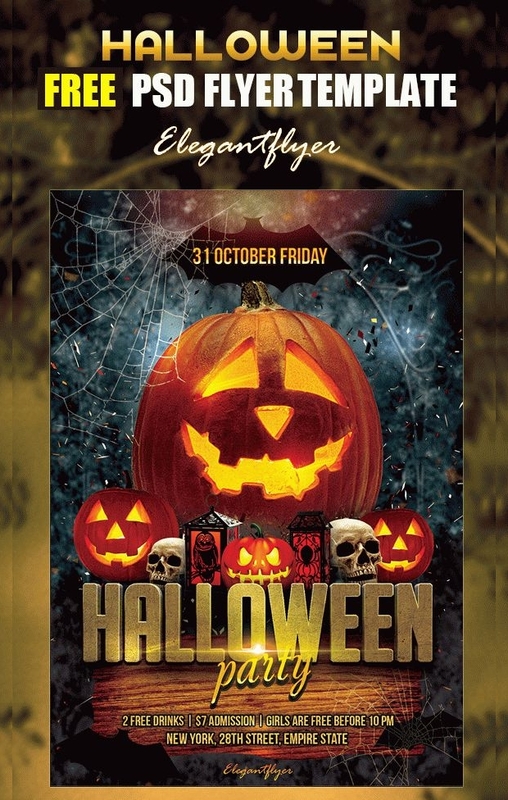 Featuring elegantly designed Halloween pumpkins, this dark-toned flyer design can be perfectly suited to your Halloween-themed party invitation. Available in two easily customizable PSD files, this flyer design also comes in impressive CMYK-RGB colour mode to give you options that can help you customize the flyer to your taste. 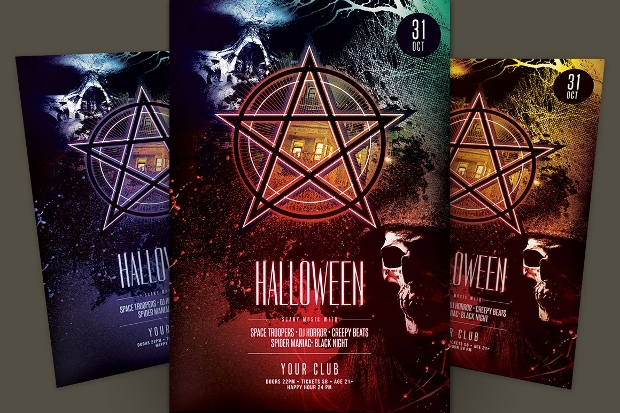 A flyer template with a massive scary devilish pumpkin head and neon decorations can be a powerful way of promoting events in your Halloween-inspired nightclub. The PSD flyer design’s elements can be modified with astonishing ease thanks to the well organized and color-coded layers. 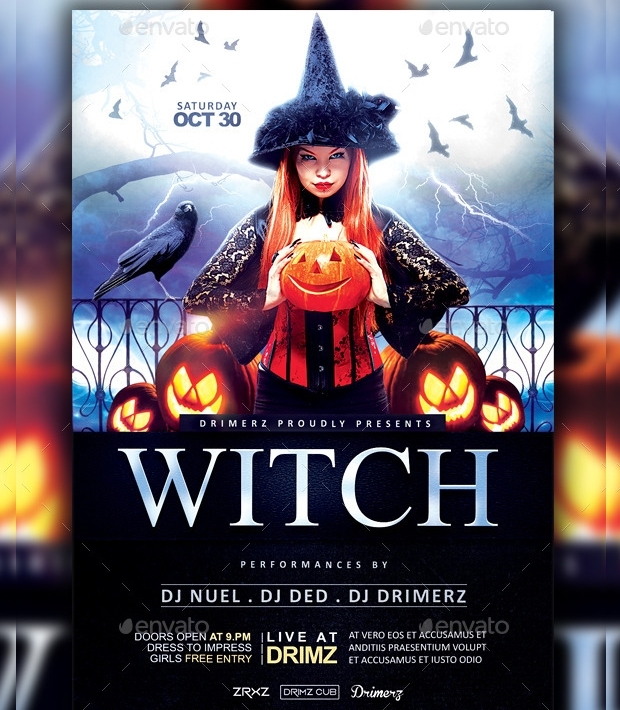 This flyer design featuring daunting dark pumpkins and a witch looks perfectly ideal for promoting your Halloween-inspired events. The high resolution flyer comes in a print-ready form with bleed margins of 0.3 mm. Changing color, text and other elements of this flyer to match your branding is undemanding. 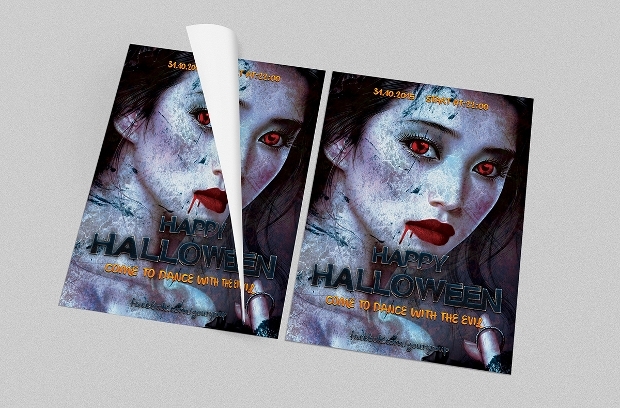 This template featuring an evil-looking woman can be a stylish way of advertising your Halloween event. 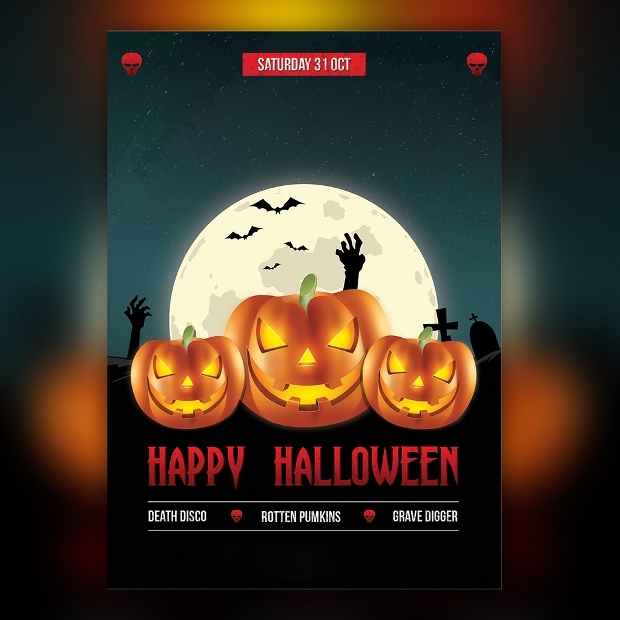 Available in editable JPG and GIFF files, this can be an elegant coldness style that can be used to make invitations to your Halloween party. 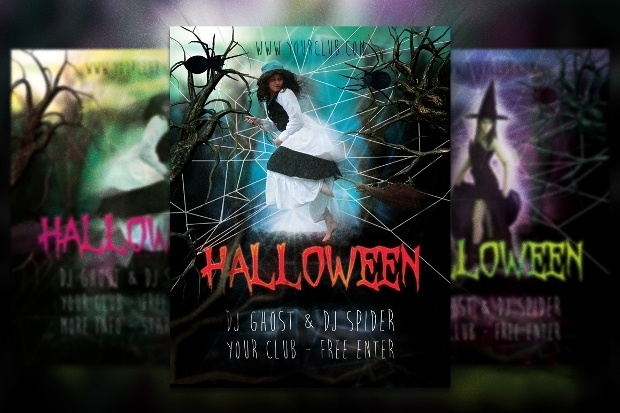 This flyer design can give your Halloween party a real magical trick or treat. Obtainable in Photoshop PSD format, you can easily adjust the design’s color and other elements to match your party advertisement needs. 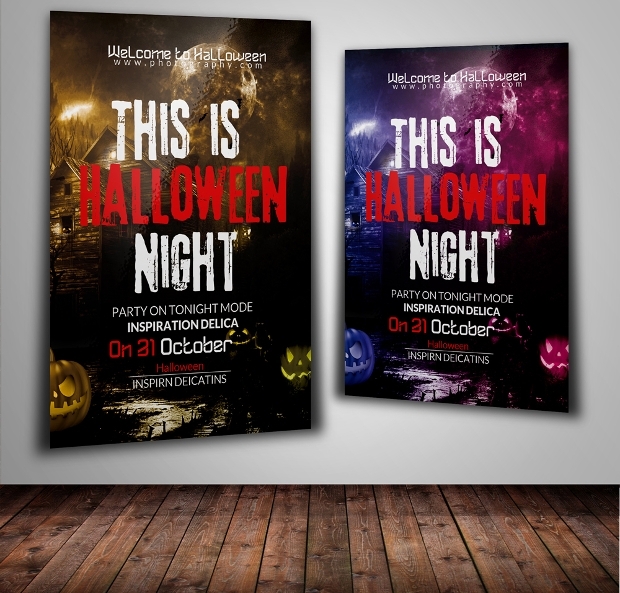 Featuring a Halloween night horror, this can be a very nice way of creating your custom Carnival Flyer for promoting your nightclub party. 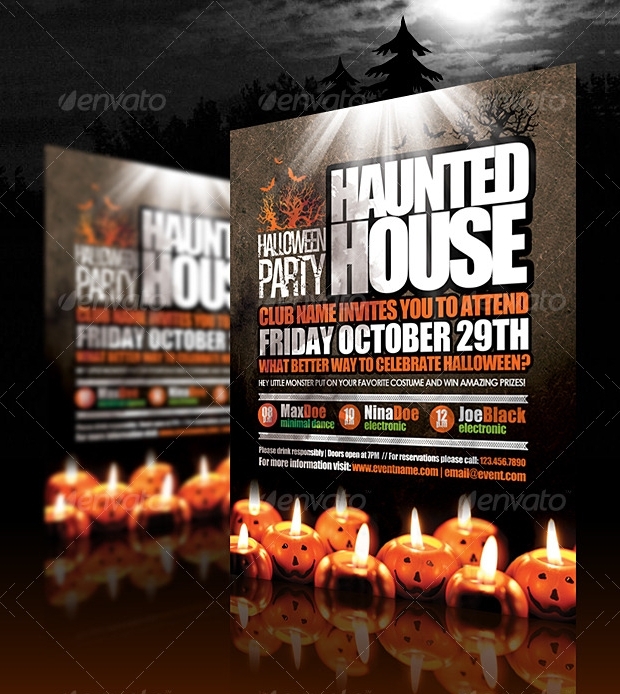 You can get this great Halloween flyer design as downloadable PSD file. 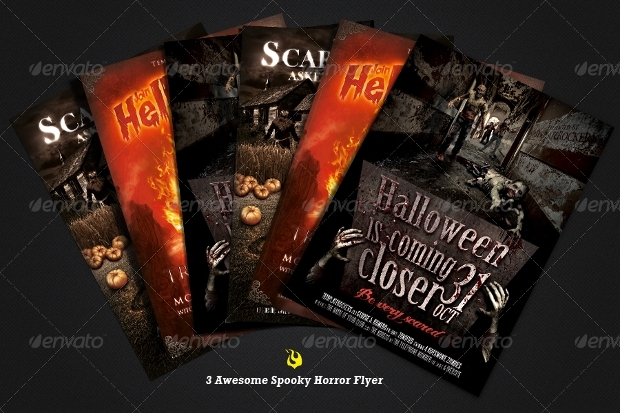 Aren’t these flyer designs a really powerful way of giving your Halloween party flyer design a desirable oomph factor? Undoubtedly they are. 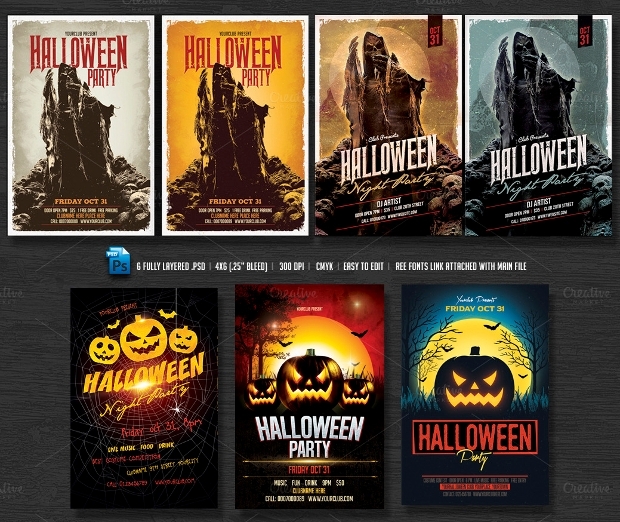 And, all that remains is following the right Internal link Anchor text of choice and you will be creating your highly unique flyer for your party in no time.